Managing a business in the age of the internet has fundamentally changed. Advertising is a rapidly evolving and dynamic market, where only the most original, engaging, and relevant content benefits your business and generate a return on investment (ROI). With this in mind, we have to ask ourselves, "What is the most effective way to advertise our business, in this ever-evolving age of the internet?" In the last decade, the way consumers purchase a product or service has changed dramatically. Before the age of the internet, if a potential customer wanted more information about your product or services, the mere presence of your branding in advertising would engage the consumer enough to consider your business. Today, between the idea that we have the entire world at our fingertips (thanks to the internet), and that the average internet user has an attention span of between 6 and 8 seconds, it's important to engage the customers on your website. The best way to create this engagement is by creating dynamic, qualified, and creative content. If a customer is on your website, chances are they found you through a search engine like Google. This means that your products or services interested them enough that they have you as a choice. Our goal with dynamic, qualified, and creative content generation is to take your business from being a choice to being the choice. This happens through your articles, blogs, and social media feeds—all channels to create and promote content that is relevant to your brand. At the end of it all, your website is a tool to create authority and trust for your brand, so consumers see you as their #1 choice. The only thing consumers have to base these metrics on is the content you deliver on your website. Marketing in the age of the internet is all about providing high-quality content that is original, creative, and qualified. Social Media channels have quickly evolved this idea of marketing into something more, as you now have additional channels to get this content in front of possible consumers. When done effectively, social media ROI can provide up to a 95% increase clickthrough rate from your social media channels to your website, which can be a substantial boost in leads, customers, and promoters of your brand. Defining "high-quality" in this sense means more than just professionally written, aesthetically appealing content. Remember, your website is a sales tool that should be targeting your ideal audience, and the best way to capture an audience is with implied or explicit value added by your content. If your content has no value to the consumer, it will fall flat and not benefit your business as much as possible. By aligning your content creation with the value that your customer is looking for, and an aesthetically appealing design, you begin to create a semi-automated funnel for sales. This is a win-win situation for your business and your customers: they get the information they want, and your company gets to demonstrate its expertise. Furthermore, following The Inbound Sales Methodology, your website should also be capturing data on your customers, creating potential leads that you can convert to clients and even promoters of your business, product, or services. 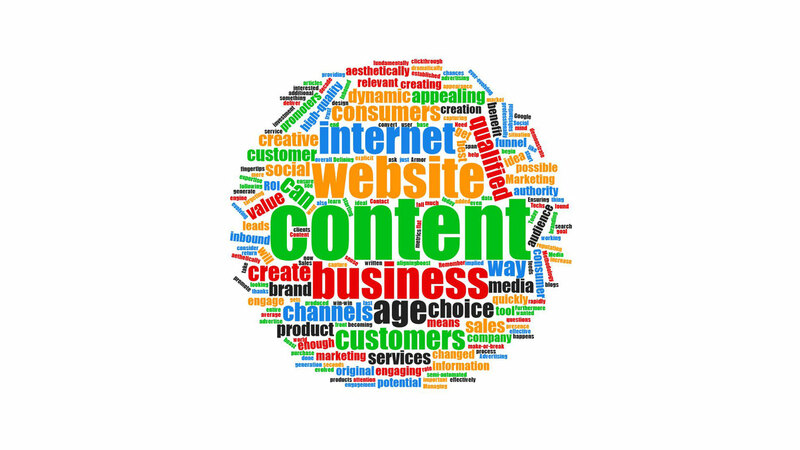 The age of the internet is quickly becoming the age of "Content Marketing." The content produced by your company can make-or-break your reputation, authority, and overall appearance to customers. Ensuring your content is qualified, engaging, and aesthetically appealing will ensure that your inbound sales funnel is established, and that your website is working for you. Have questions? Need help starting your inbound marketing, website, or content creation? Contact Armor Techs today to learn more and start this process!